***NBC has tapped Sharon Osbourne to replace Brandy Norwood as one of the three judges on its second season of America's Got Talent, which returns on May 29. "On this show, it just had to be Sharon Osbourne," says co-executive producer Simon Cowell without elaboration in an NBC release. The show also has a new host, Jerry Springer, in place of Regis Philbin. Holdover judges are David Hasselhoff and Piers Morgan. 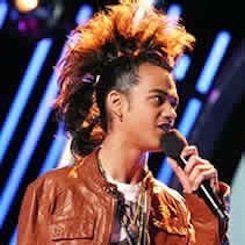 ***American Idol evictee Sanjaya Malakar has quickly discovered that his post-Fox fame is lasting longer than 15 minutes. He appeared on Jay Leno's Tonight Show Thursday and will have a very busy day on Monday. So far he's booked on Live with Regis & Kelly, Ellen and Late Show with David Letterman, where he'll be reading the Top 10 list. Any other takers? Get in line. ***My Name Is Earl already is renewed for another season, but lately the ratings have kinda stunk. So the May 3 episode is giving viewers a chance to "laugh 'n' sniff" along. First though, you'll have to buy that week's TV Guide, which will have a special "scented" insert card. Wonder what Earl's slovenly brother, Randy, smells like. Probably a cross between corn chips and road kill. ***The season finale of NBC's only new hit, Heroes, is set for Monday, May 21st. Subtitled "How to Stop an Exploding Man," the synopsis goes like this: "With Isaac's horrible predictions all unfolding before them, the everyday people with extraordinary abilities face moments of pain and peril in Kirby Plaza with unflinching heroism, as Heroes' first volume comes to a close -- and the next surprisingly begins." They had me with Kirby Plaza.